The Philippines is the 7th country in the world to avail the Internet.org app on smartphones. It provides smartphone active users free access to basic internet services related to education, health, employment, communication and information and news. This means that everyone will now be able to use their social media accounts for free, or even looking for a job online using Jobstreet, or checking out the latest news and updates on Inquirer without any data charges. 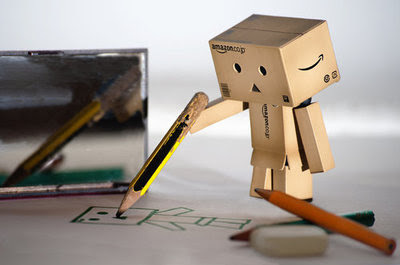 Although the said app is only limited and restricted to few sites, which Facebook has chosen. Internet.org is a non-profit organization and a partnership between Facebook and seven mobile phone companies (Samsung, Ericsson, MediaTek, Microsoft, Opera Software, Reliance and Qualcomm) that aims to bring affordable Internet access to everybody by increasing affordability, increasing efficiency, and facilitating the development of new business models around the provision of Internet access. 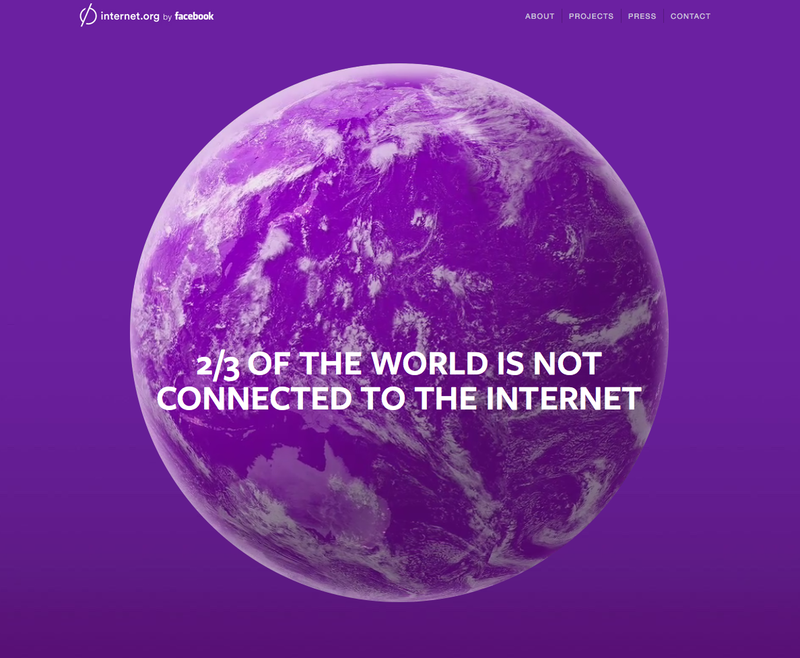 In the Philippines, Internet.org was launched on March 18, 2015 in partnership with Smart Telecommunications, Inc., which has over 70 million subscribers. “We are working with operators, content partners, and governments from all over the world to address the barriers that prevent people from connecting and joining the knowledge economy. 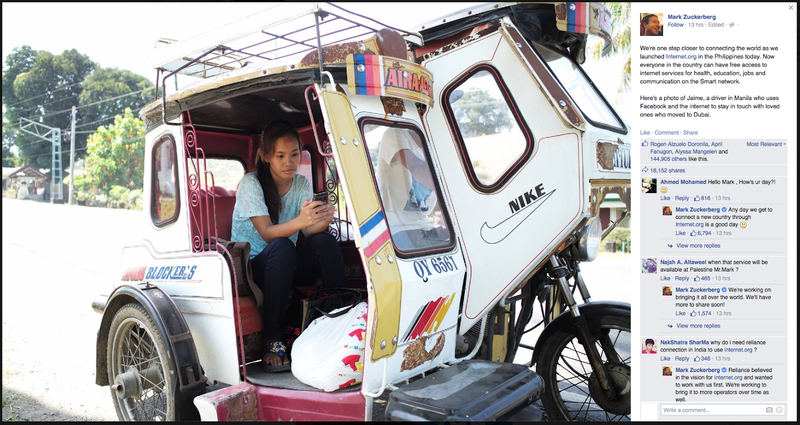 We are excited to bring the Internet.org app to the Philippines and give people access to internet services and tools that can help create new ideas and opportunities,” says Markku Makelainen, director of global operator partnerships at Facebook. Apart from the Philippines, Internet.org has launched in Colombia, Ghana, Tanzania, Kenya, India, and Zambia. Subscribers can download the app on Google Play Store, or simply text INTERNET to 9999 to access. The Internet and Mobile Marketing Association of the Philippines estimates that only 38 percent of the Philippine population had internet access as of mid-2014. And I'm back after 2 years! Featuring Mi'Grande's best-sellers! 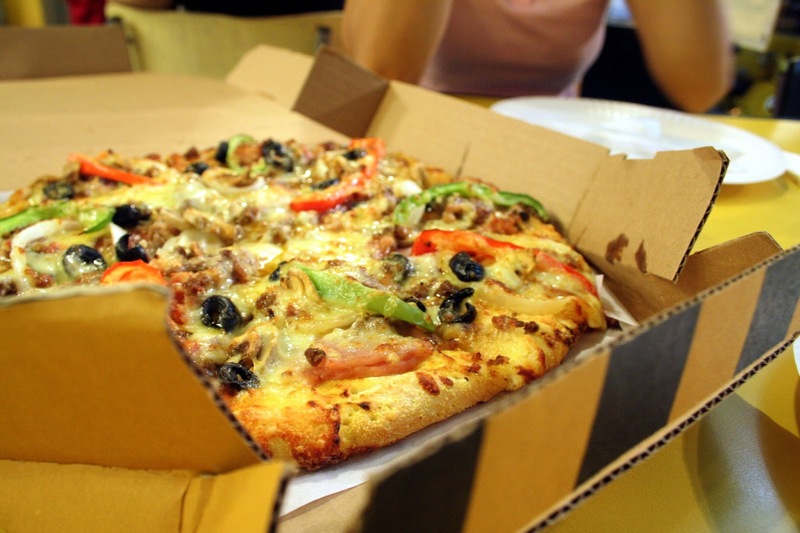 If you're craving for pizza and burgers, Mi'Grande Restaurant is the best spot! The store ambiance was bright, with high ceilings and light apple green wall colors. On the other side, they have this cut-out wooden planks, which reminds me of a wooden puzzle. 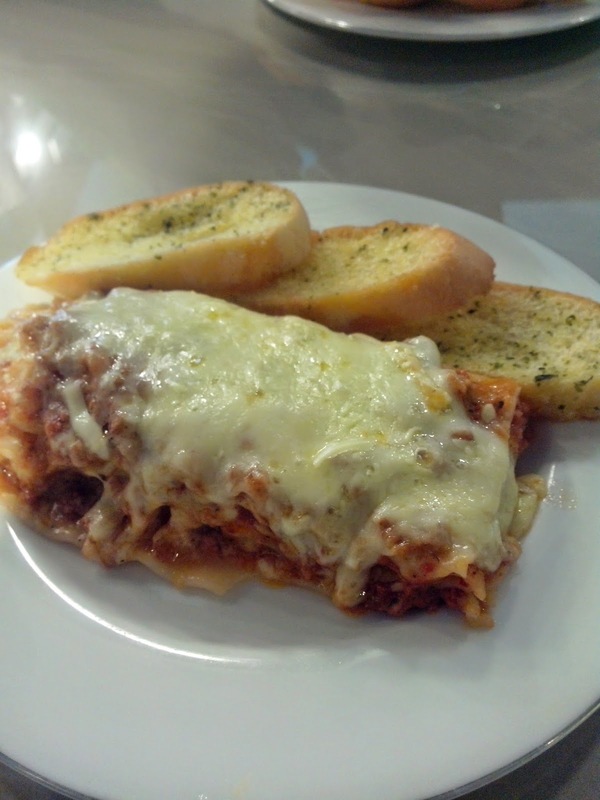 So I ordered my all-time favorite lasagna, which is a little bit costly compared to other restaurants (around 95 pesos). But take note: REALLY WORTH THE PRICE! With an ooey gooey cheesy melt on top, ground beef and very tasting tomato sauce, it's a tried and true crowd-pleaser. 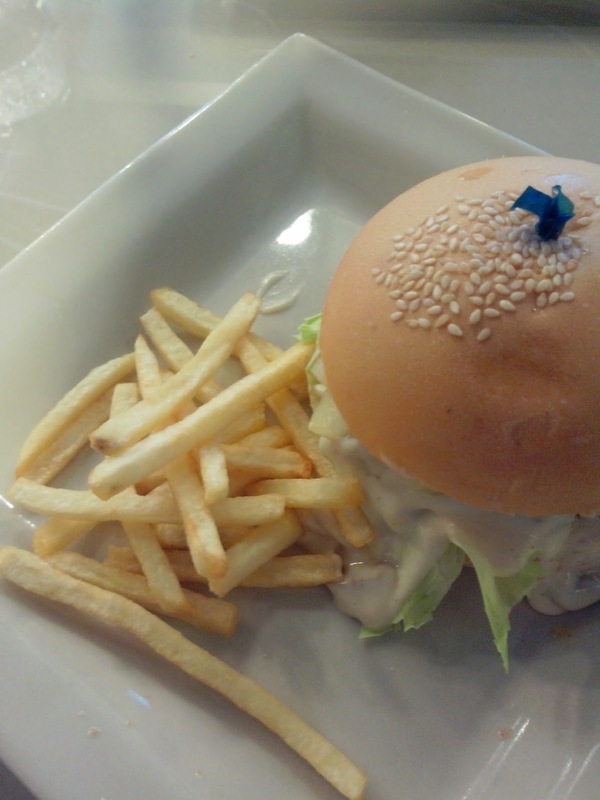 I also tried their all-time favorite, and most probably their best-seller, White Gravy Sauce Burger (if I'm not mistaken) platter. This flavorful beef gravy is truly a burger from heaven! It costs around 115 pesos. Visit them along National Highway, beside Old Yellow Bus Terminal, General Santos. Or you may visit their Koronadal Branch at General Santos Drive. They're open until 11pm. 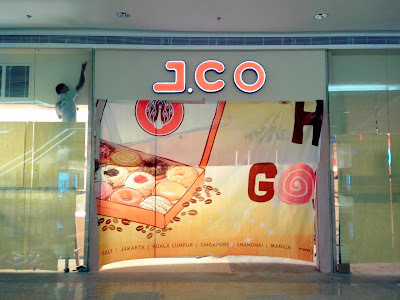 If you're following KCC Malls on Facebook, we've seen a lot of J.Co collateral and with their teaser photos, that in fact, J.Co Donuts and Coffee will be opening its doors on November 27, 10PM, according to J.Co Philippines' Facebook Page. On the opening day, they will give surprises to first 100 customers, according to their post on Facebook Page. 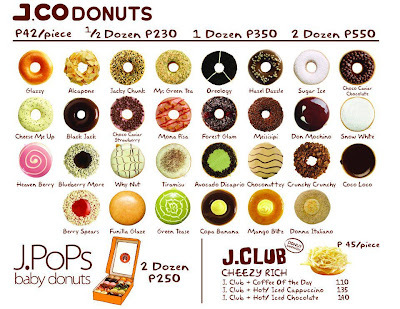 Might perhaps J.Co will give a dozen of surprises on the opening day! 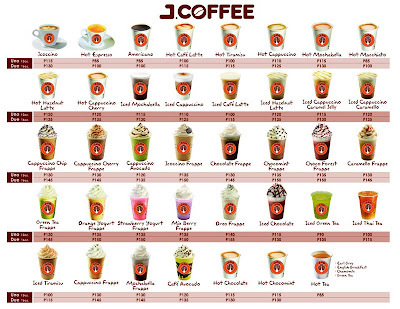 J.Co Donuts and Coffee is a lifestyle coffee retailer in Indonesia, specializing in donuts, coffee and frozen yoghurt. It began trading on 2005 in Jakarta, Indonesia until they expand their chain into Malaysia, Singapore, China and the Philippines. 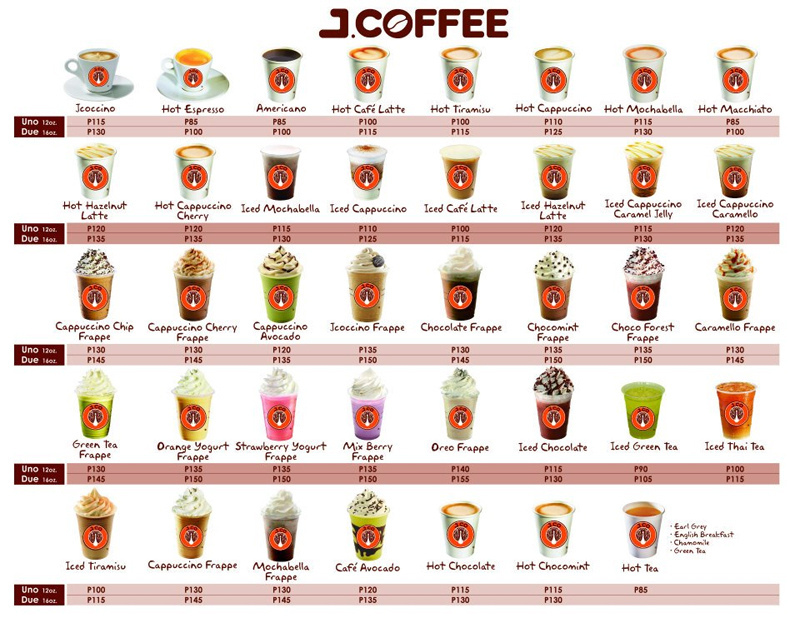 J.Co Veranza is their 4rd outlet outside Metro Manila, others are located at SM Pampanga, The District Cavite and Centrio Mall Cagayan de Oro. That makes 17 stores in the entire country as of today. Can't get enough of the hottest gossip? 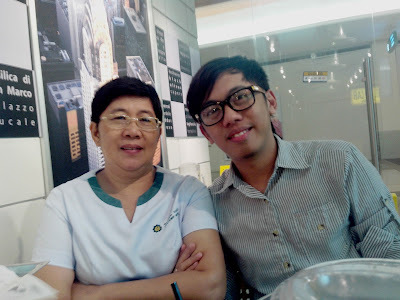 Then visit J.Co Donuts and Coffee on its opening day, and share the newest exciting treat that J.Co can offer. SM has a lot of surprises every month, and I can't wait to witness the magical Christmas event only at SM City General Santos! 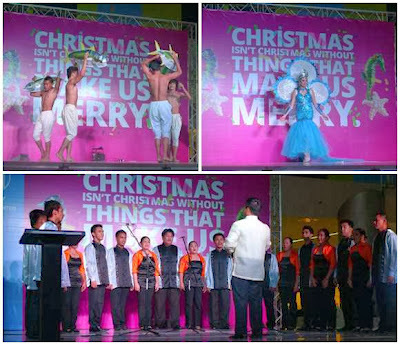 Last year, SM City General Santos surprised us with an "under-the-sea" themed Christmas Tree as the centerpiece for the Christmas campaign. 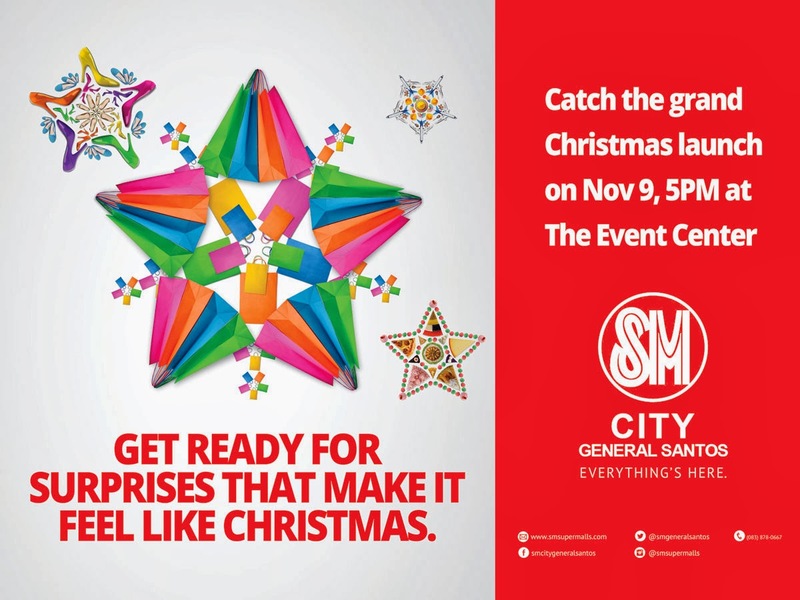 This time, SM City General Santos invites you to join their extraordinary Christmas launching on Saturday, November 9, 5PM at the Activity Center. Witness this once-in-a-lifetime experience only at SM City General Santos, Everything's here! Searching for the perfect match? I'm 20. Getting the borderline of loveless. Does it mean there's no perfect match for me? I was thinking, I want to have a right girlfriend at the right time in the right place. That was 4 years ago. That 4-year duration of searching for the right girl was so difficult, I guess one of the toughest. If not, the hardest. During that 4-year timeline, I was able to mingle with different girls. One there, she was a call center agent. She was active in night time. But how about day time? Always sleeping. I remember that I invited her to have movie date, but I guess when I called her, she was sleeping. 2 in the afternoon. Scourging hot outside. 32 degrees. But no one is answering the call. The worst thing she did was when I came to her office in IT Park and bought some snacks for her. It was 12 midnight. Mosquitoes bit me. Waiting for her break for like 3 hours. I kept on calling her phone, but sad to say she left her phone in the locker while she was having her work. After 3 hours, I left her food with a letter on it saying, "This would be the last. Thanks for loving and waiting me." I left the place at 4 in the morning. Worth waiting. After few days, I didn't receive any calls from her, even a single text message. But I was expecting for that thing to come. I'm that kind of person that can easily forget those trouble times. And yes, for that short span of time, I forgot her. After a month, I met this pretty awesome girl in school in her sophomore years. That was my first time I saw this pretty creature. I'm kinda good in stalking people, so I was able to know her background. She's studying Education major in Biology. Been to a lot of beauty pageants in their hometown, and also taking her courage to join major beauty pageants in the city. Yeah, I know, she's a good looking person. She was my inspiration for 3 months. Because of my strong connections with her closest friends, I was able to talk to her, heart to heart. Exchanging quotes and jokes over text messages, and even talking on phone for 3 hours per night. We consider our relationship as "close friends". 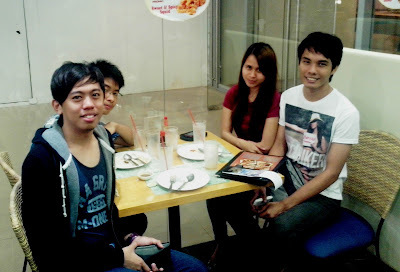 But because of our sudden closeness to each other, there are times that something is rumbling over my mind. I was getting paranoid when she joined in a modeling group. No texts, calls or even communication over Facebook. Her timeline is all about this modeling group. And there was a rumor that she was currently dating this tall and good looking guy from the group. Oh well, I guess that it girl is not for me. Until now, I don't have any news from her. Well I guess she found her knight and shining armor. How sad she didn't pick me to be part of her love story. While I'm desperate to find the perfect match of my love story, there is this simple girl, on her pony-tailed hair, with interesting mole in her upper lips. We're about of the same age, 20. She's funny, funny to be with. One talk and everyone will laugh that there's no tomorrow. But for her, it is a normal talk. She keeps on complaining that we made her a laughing stuff. I met her in my working place. She came all the way from the mountains with copper and gold beneath. Her hometown seems to be an interesting place to live. There are lots of gold and minerals, just like her face. Shining like a diamond. I asked her frankly, "Why you're so beautiful? ", then she answered, "because I am. ", then everyone in the office laughed out loud because of the way she delivered the message. She is so funny, really. All-in-one, full package. It's like, I want to bring her home like a stuffed toy. Now, I'm still searching for the right girl. I guess the mole girl will complete the criteria. But the question is, is she the right one? Will God continue to write my love story? Or someone else is waiting for my presence? Then the who? Pizza is like, food made from heaven. It's my comfort food. 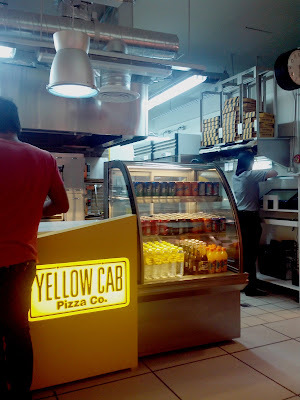 I tried every pizza stores here in Gensan but nothing beats the best tasting New York's Finest of Yellow Cab Pizza. Luckily they have it here. 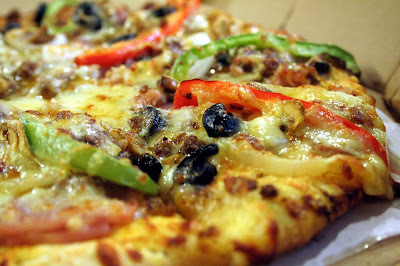 I am really a pizza lover. Every time I went to Davao, I usually dine at Yellow Cab, and I always order their best-seller New York's Finest. 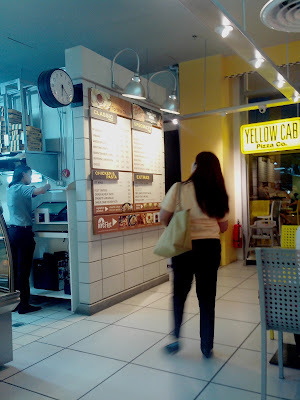 My mom together with my sister decided to experience the best-tasting pizza at the newly-opened Yellow Cab in Veranza. I, myself, was excited and hungry at the same time to eat, and just make sure that it's New York's Finest. New York's Finest Pizza costs around 395 pesos, good for 4 persons. Ratings? 5 as the highest. Visit Yellow Cab Pizza at the ground floor of Veranza Mall General Santos. i-SPEAK headed by Ms. Sheila A. Dayap, CPA, will be launching a campaign to boost the awareness in ICT and bridge digital divide in rural areas. In partnership with DTI Region 12, Animation Roadshow & Workshop 2013 campaign will travel to Sarangani on July 24, General Santos on July 25 and South Cotabato on July 26 to educate the public, particularly students, on the use and benefits of ICT and animation especially for job purpose. Other institutions participating in the campaign are Society of Animators and Graphic Artists and ICT Councils in Region 12, ICT Solutions Association in Region 12, Digital Innovations Cluster Economic Development in East West Coast Sarangani, Speed IT and TICK in Koronadal, along with educational institutions Notre Dame of Dadiangas University in General Santos and Notre Dame of Marbel University in Koronadal City. Been craving for the hottest donut in town? 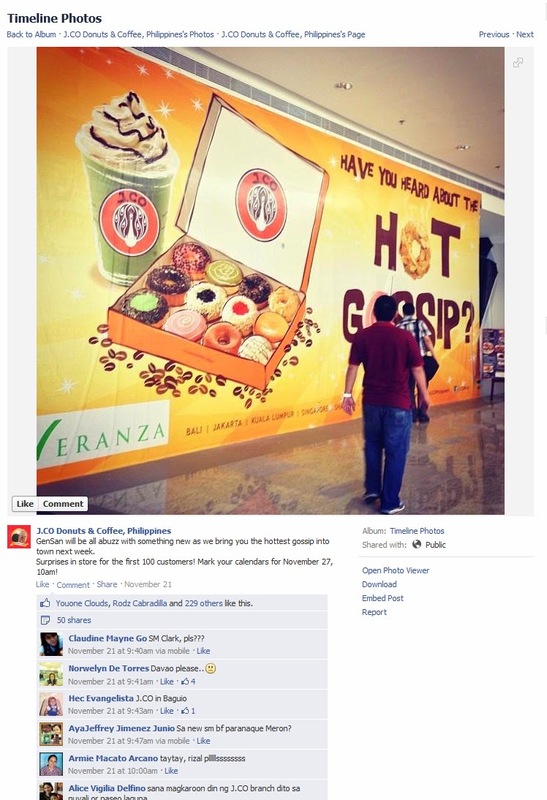 Don't worry, J.CO will soon invade General Santos! J.CO Donuts and Coffee will be located at the Ground Level of Veranza KCC Mall, General Santos. 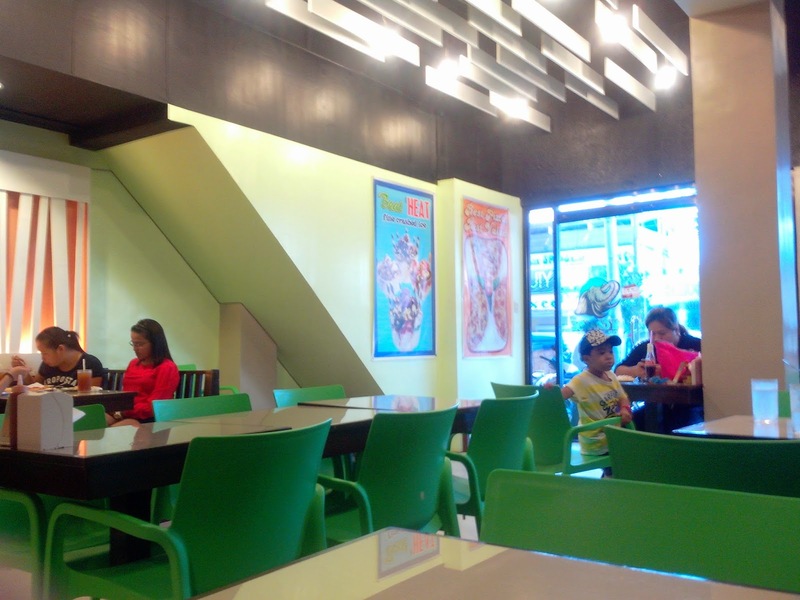 It is their 3rd outlet outside Metro Manila, after The District North Point Cavite and Centrio Ayala Mall Cagayan de Oro. 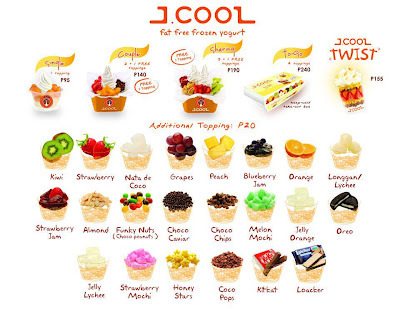 J.CO Donuts and Coffee Veranza will serve three variants: J.COOL, non-fat frozen yogurt with different flavors and toppings, J.COFFEE, hot and chilled coffee drinks for coffee-holics, and of course their famous J.CO Donuts, which is really tastes better than other existing doughnut stores. I should try their Alcapone Donuts matched with brewed J.COFFEE soon. 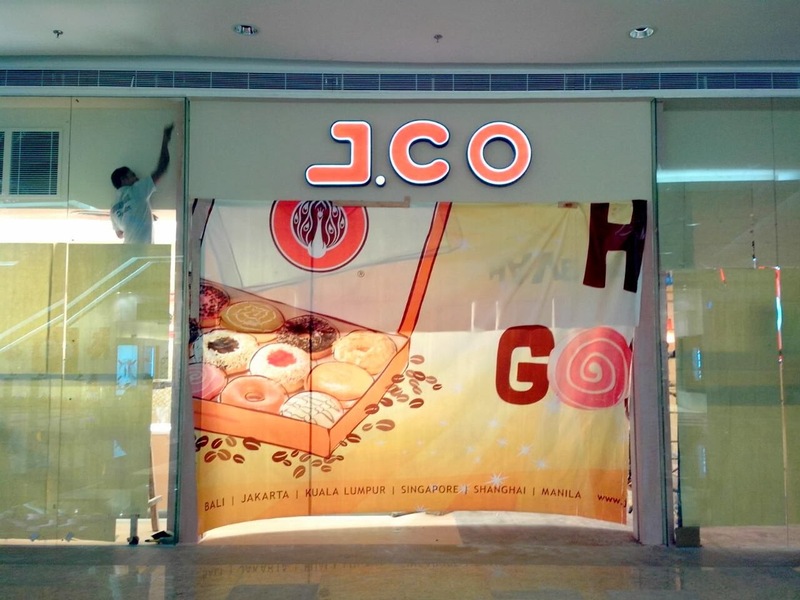 J.CO Donuts and Coffee originates from Indonesia and had just started last June 2005. It is the asian version of famous Krispy Kreme. They're a premium lifestyle cafe that offers products made only from the best ingredients and they have branches all throughout Asia. (Indonesia, Malaysia, Singapore, and China). And it's just lucky that they will bring the hottest gossip here in General Santos. Watch out for the exact opening date of J.CO Donuts and Coffee Veranza KCC Mall. Nurse Licensure Examination for June 2013 is out! The Professional Regulation Commission (PRC) on Monday announced that 16,219 out of 37,887 passed the Nurse Licensure Examination given by the Board of Nursing in the cities of Manila, Baguio, Cagayan de Oro, Cebu, Dagupan, Davao, Iloilo, Laoag, Legazpi, Lucena, Nueva Ecija, Pagadian, Pampanga, Tacloban, Tuguegarao, and Zamboanga last June 2013. This makes for a 42.8 percent passing rate. The members of the Board of Nursing are Carmencita M. Abaquin, chairman; and Leonila A. Faire, Betty F. Merritt, Perla G. Po, Marco Antonio C. Sto.Tomas, Yolanda C. Arugay, and Amelia B. Rosales, members. I have a tight budget, and I don't know where to eat in Veranza. I just remember that I only have P200 in my pocket. Since I went to Veranza with my friends, I need to discover something affordable for the price below P200. Giligan's, yes. It's Giligan's. Something new in General Santos. Giligan's Restaurant will take you to a food trip of endless possibilities without sailing out to the sea. 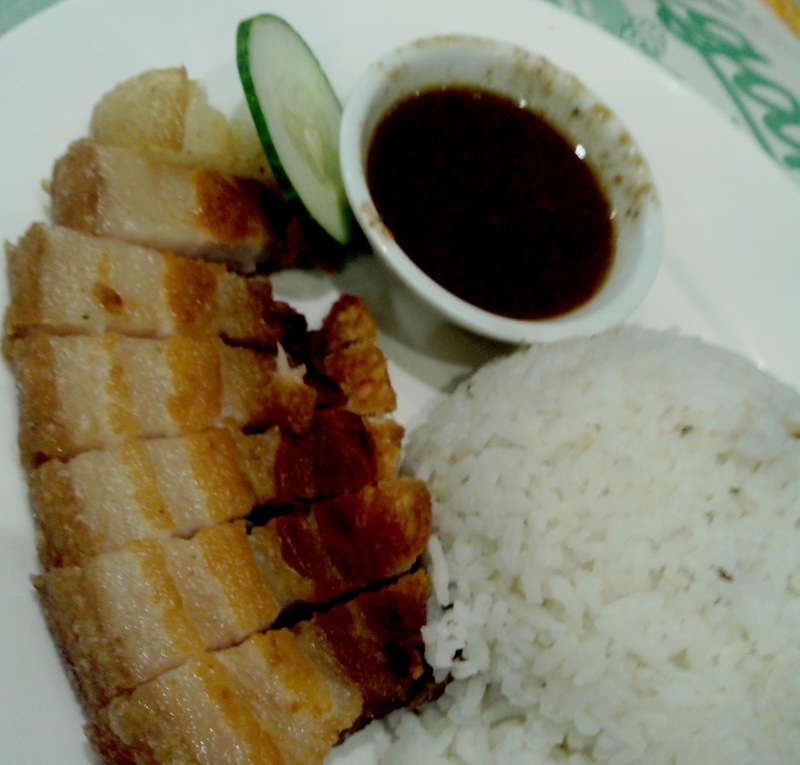 Everything is fresh, from sea foods to tasty fried chicken and crispy pata. 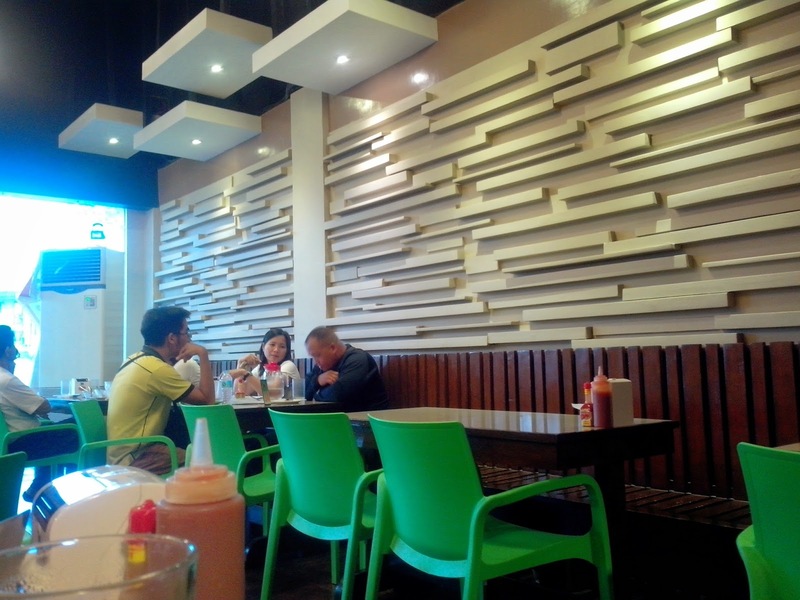 With its vibrant and cozy environment, you'll surely love to dine at Giligan's. 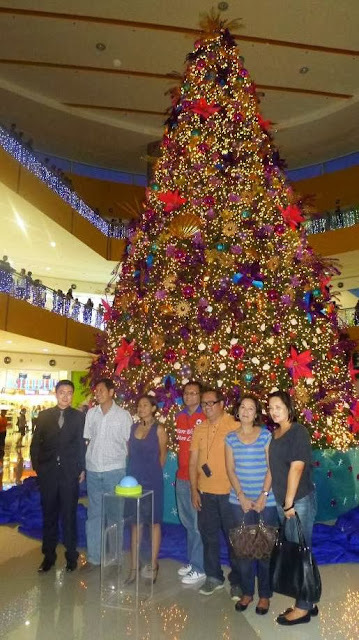 Giligan's Veranza Mall is their 2nd branch in Mindanao, with existing SM Lanang Premier. At first, you'll be mesmerized with their sailor concept, offers you a peek of their eclectic collection of marine art acquired all over the world, where some are even authentic antiques hence they are safely encased. 99 Rice All You Can Meal Promo of Giligan's Veranza Mall. 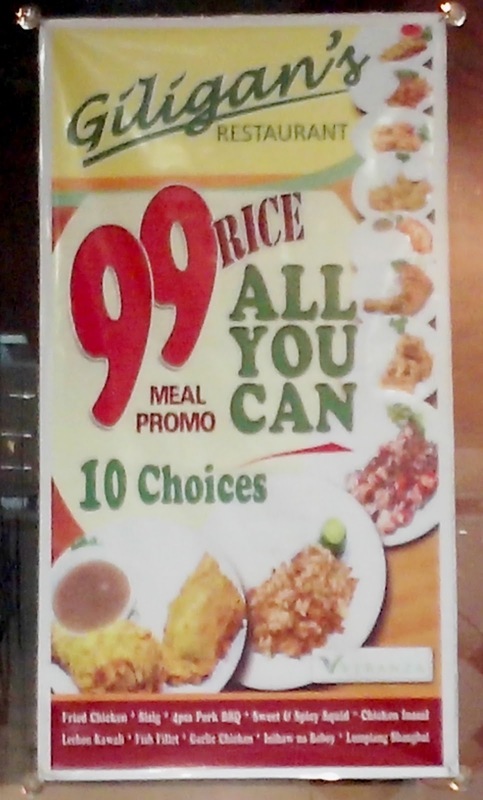 But back to the main basic original topic, Giligan's offers 99 combo meals, all for 99 pesos! And my favorite part, rice all you can! 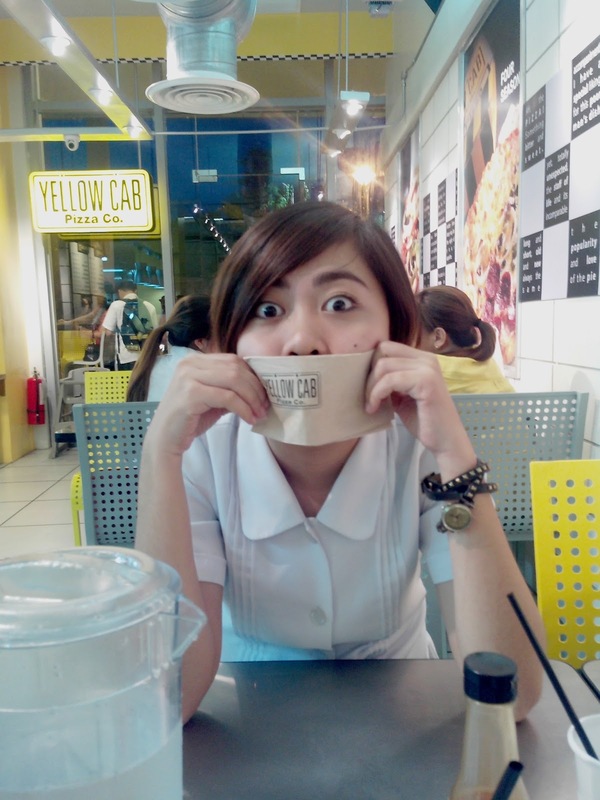 It makes me more "baboy". Since we are that "manol much" (ignorant) with their meals, Dale tried Garlic Chicken, Genevieve ordered Sisig (which is pork) and Lechon Kawali for yours truly. 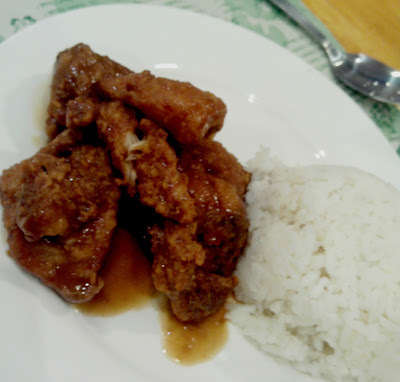 Garlic Chicken, I love its aroma and crispiness of the chicken. 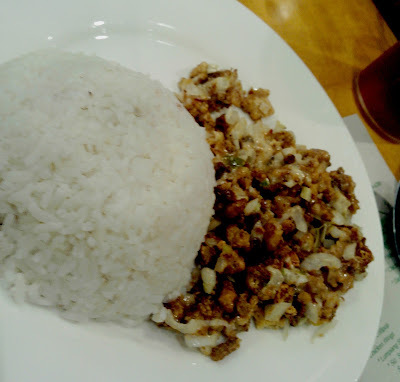 Pork Sisig, best-tasting sisig next to Razon's SM General Santos. You can add 21 pesos for iced tea. 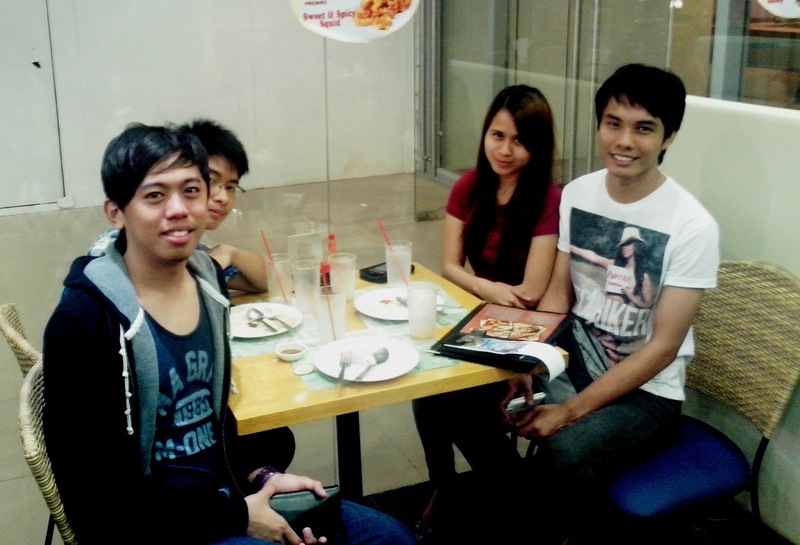 Total costs: P120 per meal. Come to think that it is rice all you can meal! Visit Giligan's Restaurant at the ground floor of Veranza Mall General Santos.